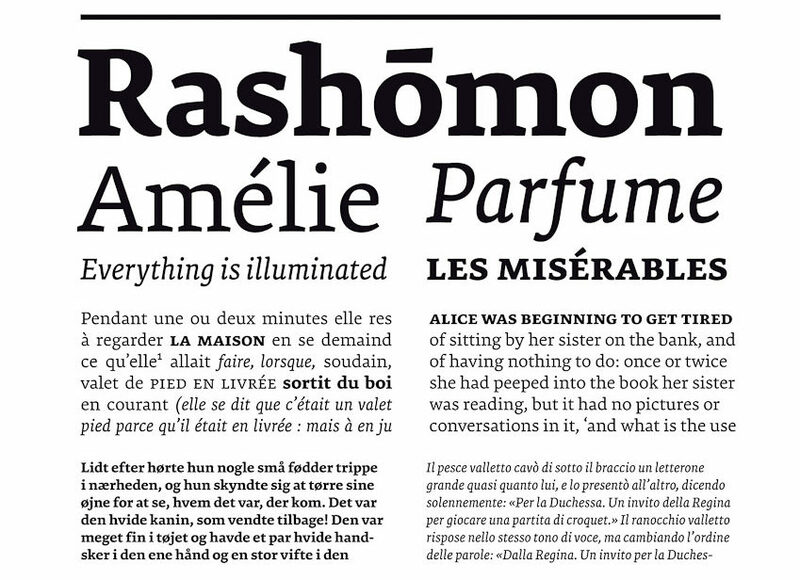 Premiéra, of Typejockeys foundry, is a book typeface specifically designed to work in small sizes. It is available in 3 weights: the ‘Book’ for main text demands and two styles (Bold and Italic) to create different kind of emphasis. A strong x-height and short ascender/descender make this very legible and elegant typeface very suitable for use in books and newspapers. The idea for Premiéra comes from a demand on developing a typeface that works very well in small prints. Its main features, straight lines and sharp forms, developed through a process of testing readability in very small print sizes. The result is a typeface with a strong personality whether you read it in small or in bigger size.